This winter I made the trek up to snowbound Boston to see a woman speak that I have been following for many years. 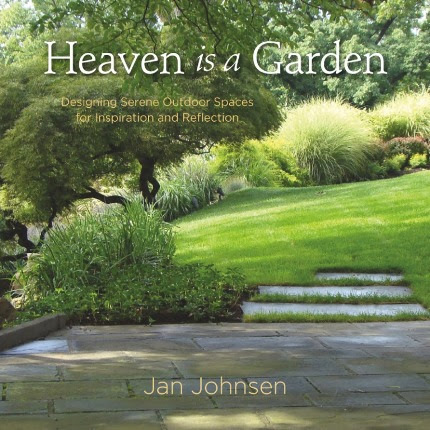 Jan Johnsen is a garden designer and writer. Her Serenity in the Garden blog caught my eye a long time ago and I fell in love with her posts. When I heard that she had published a new book, Heaven is a Garden, and would be speaking at New England Grows trade show the first week of February, I signed up. She was AMAZING! Her book is all about designing serene outdoor spaces for inspiration and reflection. I read it cover to cover the minute I returned home. I have to admit at times I was moved to tears by her words. She expressed so well what I have known deep inside all along, that gardens have the ability to center us and help us to dwell in the present moment. This is more than a design book; Heaven is a Garden is a true inspiration. 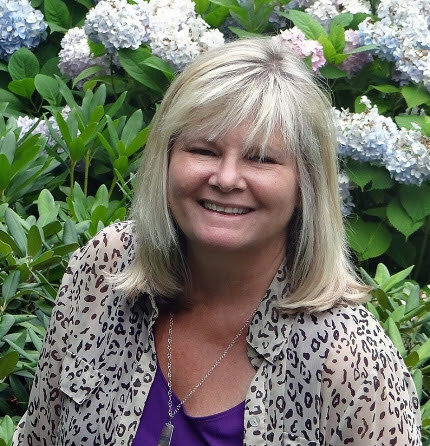 Jan Johnsen, author of the book Heaven is a Garden. Come in and get a signed copy this week. This Thursday I am speaking at the Smilow Cancer Center on The Healing Power of Plants (it’s free, but you have to register in advance, see information below). A lot of what I am talking about in the second part of my lecture was directly inspired by Jan’s talk in Boston and her book. She and I have been in communication and she just sent me a box of her books, all signed! The timing is perfect. I invite you to enjoy this book and to share it with friends. Perhaps you could even give it as a gift over the upcoming holiday weekend. It is a treasure.